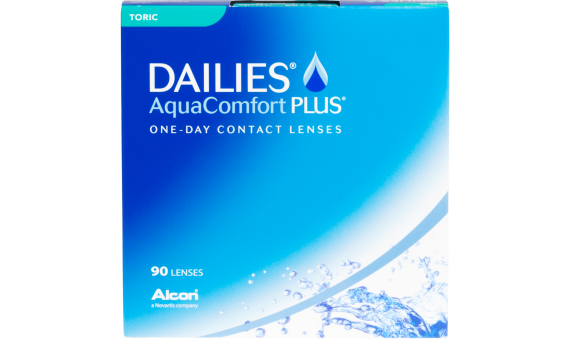 DAILIES® AquaComfort Plus® Toric contact lenses are the perfect contact lenses for people suffering from astigmatism. 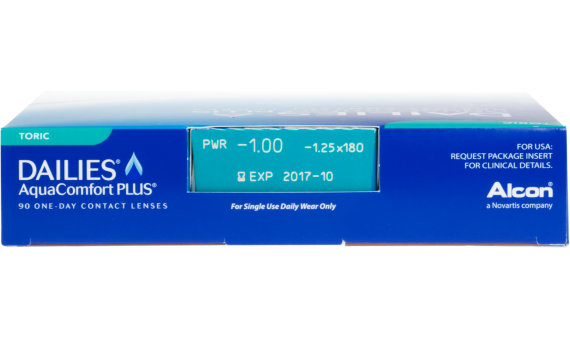 These lenses allow your eyes stay refreshingly hydrated and comfortable all day long. No more hassling with solutions, cleaners and disinfectants when you choose DAILIES® AquaComfort Plus® Toric.